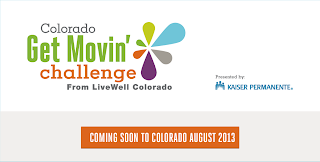 LiveWell Colorado will launch the statewide Colorado Get Movin’ Challenge Thursday, July 11, with a press conference attended by Gov. Hickenlooper at the Capitol. The Colorado Get’ Movin’ Challenge, supported by the State of Colorado and sponsored by Kaiser Permanente, provides free online tools to encourage Coloradans to engage in any kind of physical activity for an average of 30 minutes a day for 30 days during August. Register at www.GetMovinChallenge.org starting July 11. 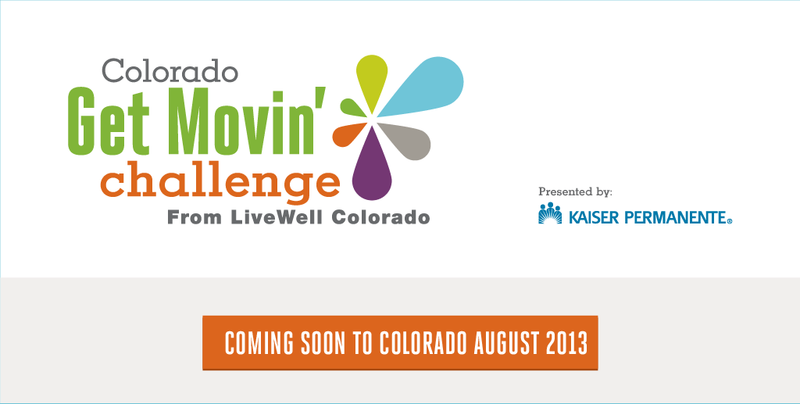 Activity will be tracked from Aug. 1 to Aug. 30.For additional information on the Get Movin’ Challenge, please contact Tracy Boyle at tracyboyle@livewellcolorado.org. For promotional materials such as postcards, flyers and web banners, please contact Leilani Krevor at leilanikrevor@livewellcolorado.org.